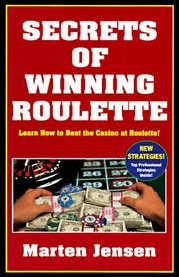 This is probably the most classic roulette book out there, and if you want to up your game straight away this is the must buy. Instead of fooling you into thinking that any one strategy is perfect, Jensen explains in detail how the game works, and how you should mix different techniques into roulette in order to become a winning player. Secrets of Winning Roulette is probably the most valuable resource out there, and if combined with a few other titles we are getting to, you will surely see a big change in your roulette streaks. The author, Frank Scoblete, is a legend of the roulette game, and has been banned from several casinos for knowing their weaknesses and taking full advantage of them. With his insights and incredible techniques, you might learn a thing or two. Spin Roulette Gold also reveals a few secrets that professionals use, something which might come in handy when you are stuck in a difficult situation or with a dilemma you do not want to face alone. This book keeps the promise, in terms of the title. It is a guide on how to discover roulette wheels with minor flaws. When this occurs, they tend to be more predictable, and the chances of winning increases. This is a method that can be used in any casino. Now, this is one of those “I know the best strategy out there” books, but it is actually quite a good one. Jake Castle uses maths, science, logic and statistics to even further lower the house edge. Do not be led into thinking that this is a fool proof method, but it could actually work if you stay calm through the entire game and follow his advice down to every word. If you want to explore all casino games out there and find a way to minimize the house edge, no matter which one you choose for the evening, this is the book to read in advance. 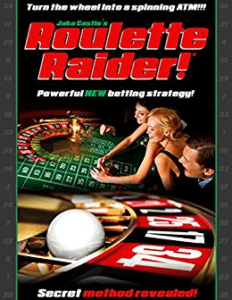 It gives you quick, precise and smart advises on all the different casino games out there. Gambling 101 was a hit by the same writer, but Gambling 102 has been proven to be even better. Based on a true story, Greg Elder is more or less telling the story of his life in this book. It might not give you any professional advice or show you any “tricks” of casino games, but it might just set the mood for your life-changing career switch. Follow the path of Greg as he rose up from nothing and became a multi-millionaire in no time. Gamblers Fight Back is all about ambitions and the right atmosphere.